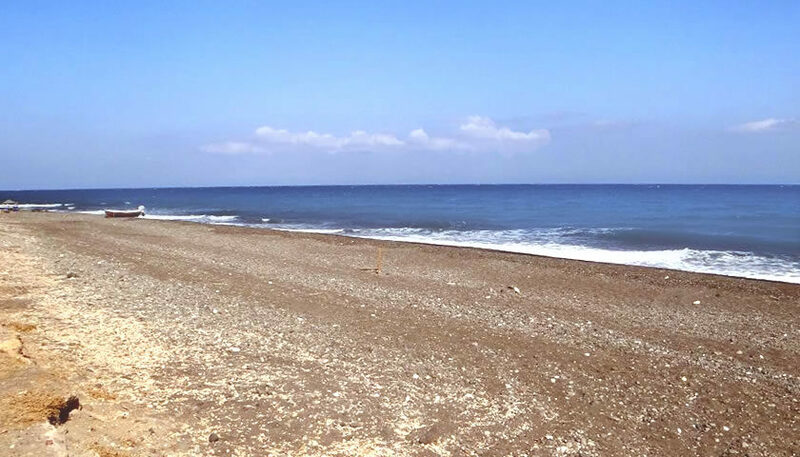 Agia Paraskevi beach is located at the east side of the island between Monolithos and Kamari, close to the airport. 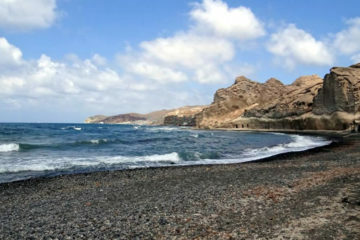 It is a quiet beach with sand and a few black pebbles, where you can enjoy clear deep waters. You can find sunbeds and umbrellas or you can be protected from the sun by the natural shade of the trees on the beach. There are some restaurants by the sea where you can have a meal. Access is easy by car and the parking too.